Is it possible to charge to lithium battery? Do not use to lithium battery. Is it possible to use to automobile battery? 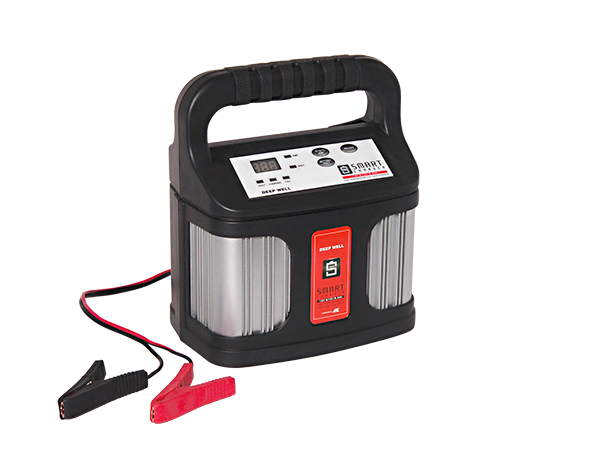 The range of capacity is 20-200Ah. Is it possible to charge 6V and 24V battery?  SMART CHARGER is able to use only 12V. Is it possible to keep connecting to the battery after full charged? It is able to charge. After full charged, the charging step goes to maintain charge. If the charger is connected to standard battery, please take care of the level of battery electrolyte. If you are away for a long day, please disconnect the charger from AC power. After full charged, the battery cannot use for a long time. The indicator (magic eye) do not change to green color after full charged. It is possible that the bubble which happened during charging is caught to indicator. If so, please shake the battery, and then the battery indicator will be changed to green color.